Razorbacks A.J. 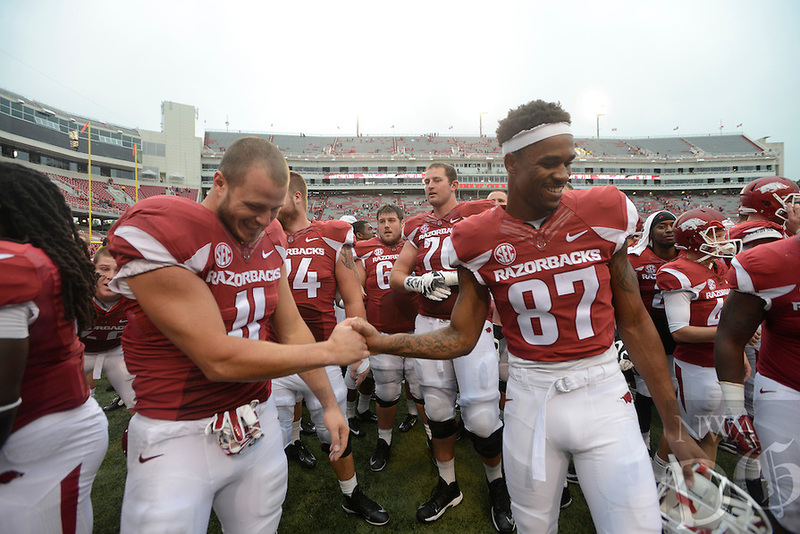 Derby (11) and Kendrick Edwards, celebrate a win against Nicholls State in the fourth quarter Saturday, Sept. 6, 2014 at Razorback Stadium in Fayetteville. The Hogs won 73-7.